Fort Knox welcomes ‘3/1’ soldiers home – WDRB 41 Louisville – News, Weather, Sports Community. 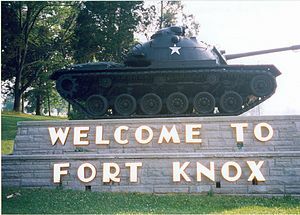 2012 Fort Knox Kentucky and Fort Cambell Ky and all BAH Rates for Kentucky Military. via 2012 Fort Knox Kentucky and Fort Cambell Ky and all BAH Rates for Kentucky Military. procedure expires December 31, 2011. If Congress passes legislation permitting VA to calculate maximum guaranty as it has in the past, the numbers below could increase slightly; they will NOT decrease. If that occurs, we will post announcements and reissue this loan limit chart. loan; however loan limits establish the maximum possible guaranty on a loan. The maximum guaranty amount (available for loans over $144,000) is 25 percent of the 2012 VA Limit shown below. A veteran with full entitlement available may borrow up to the limit shown below and VA will guarantee 25 percent of the loan amount. If a veteran has previously used entitlement that has not been restored, the maximum guaranty amount available to that veteran is reduced accordingly. Lenders should check their own investor requirements regarding guaranty amounts and down payments. NOTE: For all counties in Kentucky, including Jefferson County Kentucky 2012 Limit is $417,000.